Ah! What a great story! thanks for sharing such a nice story. That's an inspiring story, Simple Jew. I'm sure someone who reads this will be experiencing something similar and this post will give them the same hope! How inspiring! So often we are overcome by temporary realities – as beings that live in the now – that we often can't see any hope of a different future. This is such an important lesson – and it is such a hard one to keep in mind: things change so fast, and often the changes are so beyond our expectations that we don’t believe them possible until they happen. A friend of mine used to talk about this all the time, and apply it to everything from Yiddishkeit to the economy to the weather forecasts -- you name it. 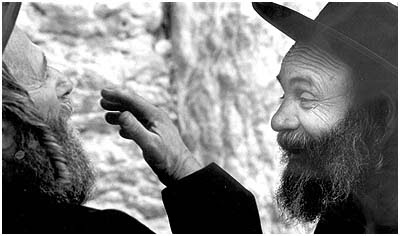 He would repeat in the name of the third Belzer Rebbe, R’ Yissocher Dov Rokeach Z’L, that this is the concept of Moshiach. There is much to say about it, and I think it’s something worth thinking about regularly.